DESTIN-E BOOKS has many titles to offer. To purchase the book and for more information just click on the book image. And be sure to click on featured author links to find out more about the authors. Is evolution a fact? Is evolution science? 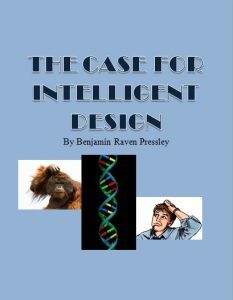 Is there a case for intelligent design? Ever since Darwin and his work Origin of the Species, written in 1859, it has been more or less accepted that evolution was the only explanation of where all life originated from and that intelligent design was only a religious belief. However, with the advancement of technology scientists have been able to study life on a molecular level with powerful microscopes not available in Darwin’s time. With the discovery of DNA and the complex molecular machinery of certain bacteria many scientists are challenging the theory of evolution and believe intelligent design is worth reconsidering and should be put back on the table for consideration. In this book I wish to present the mounting evidence in favor of intelligent design as an explanation to the origin of life. I will look at microscopic molecular machines; tiny machines composed of molecular material that compare in many ways to machinery created by human beings. I will look at DNA and the complex information it contains. I will also consider some of the flawed reasoning in the scientific world that is actually shutting out certain realms of possibility and does not encourage good science. 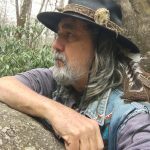 Sign up for ur free newsletter PATHWAYS and be up to date on all the latest primitive, survival and wilderness living skills! All the latest books, products and classes offered by Way of the Raven! Be sure to visit our sister site WalkingSpiritually.com. Not religious. An all encompassing view of spirituality. Also check out Raven's exciting fantasy fiction series RAVENQUEST!